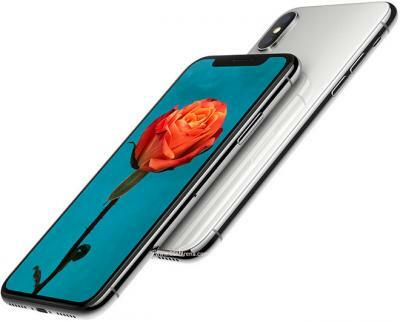 Apple introduced its first OLED iPhone, the iPhone X with a 5.8" 1125x2436 (458 PPI) flexible Super AMOLED display, and analysts were expecting that Apple will extend the adoption of OLEDs to both its smaller and larger iPhones next year. Reports from Korea, however, now suggest that Apple decided that in 2018 its smaller iPhone (at 5.28-inch) will use an LCD, and not an OLED. Apple will use an OLED in two models in 2018 - one at 5.8-inch and one at 6.46-inch. The same reports also claims that Apple ordered new 6-inch LCDs from Japan Display for 2018. So we now have reports saying that Apple's 2018 will come in 4.7-inch, 5.3-inch, 5.8-inch, 6-inch and 6.46-inch. I don't think it is likely that Apple will release so many different sizes in 2018, but perhaps Apple is indeed considering all these displays at this early stage. KGI: Apple will release two OLED iPhones in 2018, sized 5.8" and 6.5"